Readers of this blog are especially special. That's why you get a SNEAK PEEK at the next book in the Pink Locker Society series. It's called GIRLS IN CHARGE. In it, you'll learn a lot more about Forrest (yes, our saga continues). It starts on Valentine's Day, just to give you a hint. You'll also find out how 8th grade ended up for me, Piper, Kate, Bet and the Pink Locker Society in general. Last, but not least, there's the matter of me becoming a BIG SISTER! Start reading now. The whole book comes out on September 27. I have read 3 of ur books and read the preview of the 4th. I can't wait 4 it 2 come out!! It looks so good. I even got my friends 2 read it. I also recommend the Lucy B. Parker books. There is 3 and they are pretty much the same as these but her mom marries a man whose daughter is Laurel Moses (a superstar) and she hates the superstar. It's really good and it talks about boys and periods and stuff like that. A really good book if u have a sister cuz it talks about them fighting and hating each other then making up!! I also really like the eleven book! It's good. They are about real life 2!! A girl named Winnie is the star. She also came out with ten now!! They are by Lauren Myracle. Oh! And there is a publisher called mix with all real life stories. They have striped bindings and are really good, even though they are not by the same author. There are a few in a series but also some single books!! 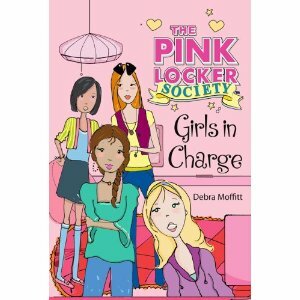 I recommend you read them (well some) before the last pink locker society book comes out. It will give you something else to read. Does anyone else have any good books? YES! I just barely got the 3rd one, can't wait to get the 4th! Hey! 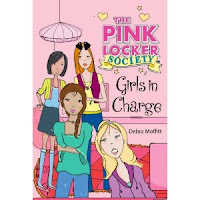 i just purchased all four books, but there coming from america and i live in australia so it is gonna take a while :( but i have read chapters from every book on pink locker and so far there great books! keep writing PLS! My library dosent have the books yet. it says in the first book that jemma is completely flat and in the 4th it says that 5 months has passed but jemma will get her period in 3 weeks. how can this be possible? i bearly started reading the only chapters in the pls book that lets u read online but i really really really want them so bad!WRITE ON PLS!!! I can't wait! I just read the 2nd book only but it's so gooood!!!!!!!!! !